Of the thirty contingencies included in this year’s Preventive Priorities Survey, an armed confrontation over disputed maritime areas in the South China Sea between China and one or more Southeast Asian claimants was assessed as a top tier priority for the United States in 2019. The contingency was deemed moderately likely to occur and, if it does, of having a high impact on U.S. interests. For decades, overlapping claims to exclusive economic zones in the South China Sea have exacerbated tensions between China and claimants in Southeast Asia: Brunei, Malaysia, Philippines, Taiwan, and Vietnam. In recent years, China has constructed military outposts on artificial islands it has built in disputed waters, further increasing tensions in the region. 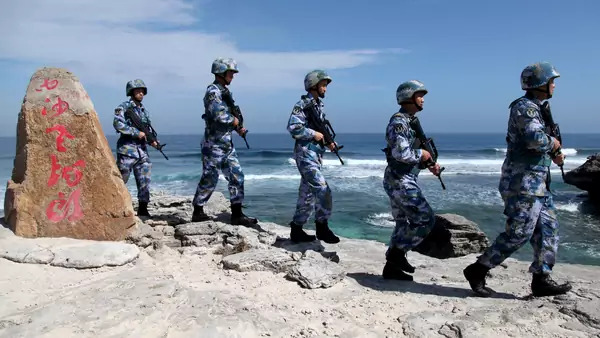 The United States challenges China’s assertive maritime claims by conducting freedom of navigation operations (FONOPs) and increasing support for its partners in Southeast Asia. Most recently, the United States conducted a FONOP off the coast of the Paracel Island chain on January 7, 2019. The recently-passed Asia Reassurance Initiative Act (ARIA) also requires the Donald J. Trump administration to develop a diplomatic strategy in the South China Sea to, alongside allies and partners, support a rules-based international system in the region. While a military confrontation between China and another claimant was not assessed to be highly likely in 2019, the impact on U.S. interests would be significant. Its defense treaty with Manila could draw the United States into a potential China-Philippines clash over valuable energy resources or fishing grounds in disputed waters. Any conflict in the South China Sea would also threaten the security of a region through which trillions of dollars of trade passes through annually, with potentially far-ranging and severe consequences. The Preventive Priorities Survey was conducted in November 2018, and reflects the expert opinion of respondents at that time. As such, it should be viewed as a snapshot assessment. Recognizing this, CPA tracks ongoing conflicts, including territorial disputes in the South China Sea, with our Global Conflict Tracker.